Fall has arrived, which means beautiful scenery and cold hands! I don’t have any wind protection on my bike, so my hands get the full force of the chilly, autumn winds. 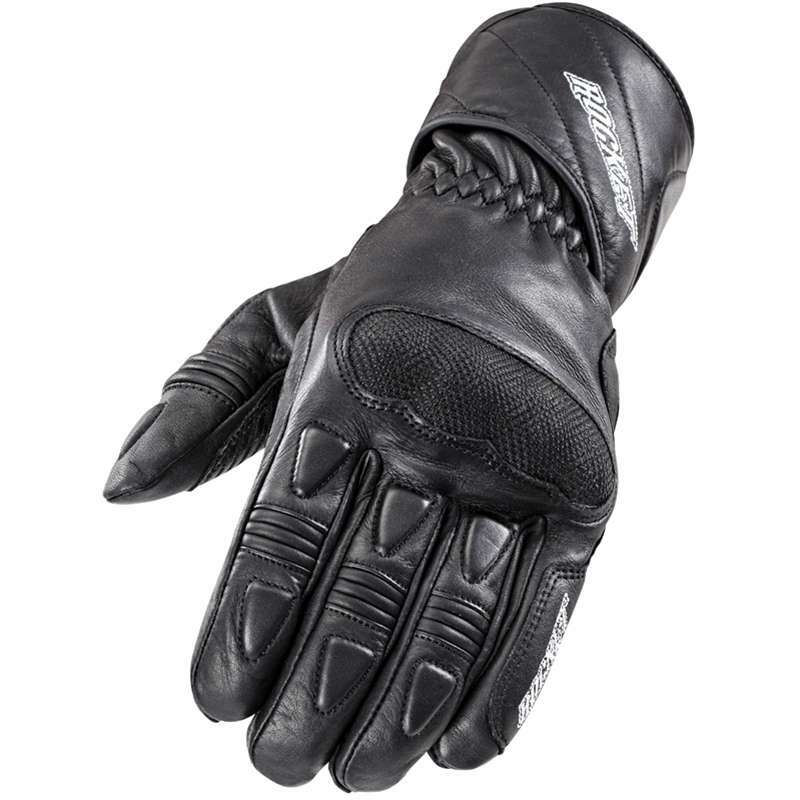 Riding with frozen fingers is difficult and dangerous, so I’ve been looking at possible solutions including heated gloves, heated grips, hand guards, and glove liners. While looking at the aforementioned goodies, I saw that Joe Rocket released a new glove for fall–the Pro Street glove. Since I really like the lightweight Cyntek glove I got this summer, I decided to give the Pro Street’s a try. The Pro Street gloves tick many of the boxes for what I was looking for in a cooler weather glove. The wrist strap and gauntlet closure make the glove feel very secure on my hand. The wrist strap could use another half-inch of length, as it likes to slip out of the holder when I’m putting my gloves on and off. The cuff isn’t the largest opening, but it does fit over all my jacket cuffs, so I won’t knit-pick too much. It’s a single cuff closure, which I prefer over double cuff because it’s faster to use and a little less bulky. The hard knuckle protector appears durable and doesn’t dig into the back of my hand at all. 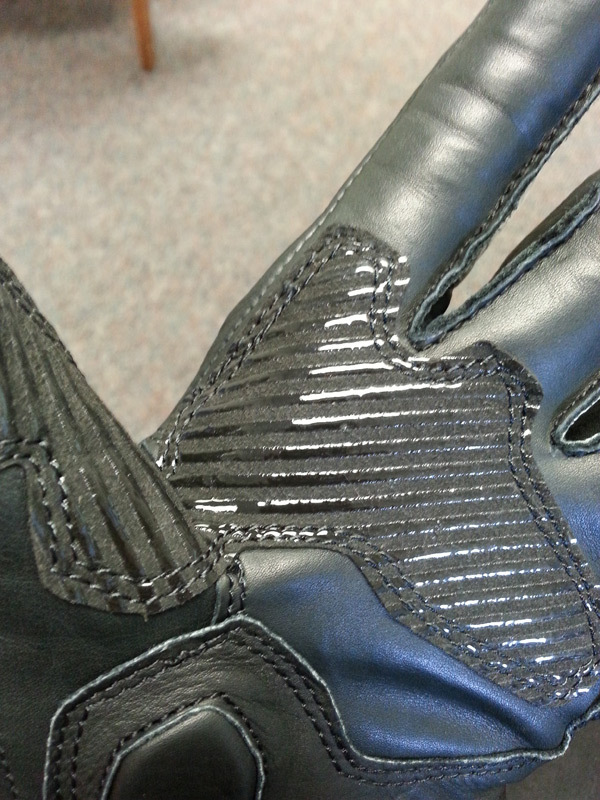 I also like that is has a more subtle appearance than what you find on a lot of other gloves. The finger knuckles have raised, soft pads for protection. The control patch at the base of the fingers is very grippy, and I don’t have any issues with slippage on the grips. I don’t have any serious bunching in the palms, either. The fingers are pre-curved but also flexible enough that reaching for the levers doesn’t feel restrictive. I find that too much pre-curve actually fatigues my hands instead of relaxing them. These gloves have a nice balance of curve and flex in the fingers. 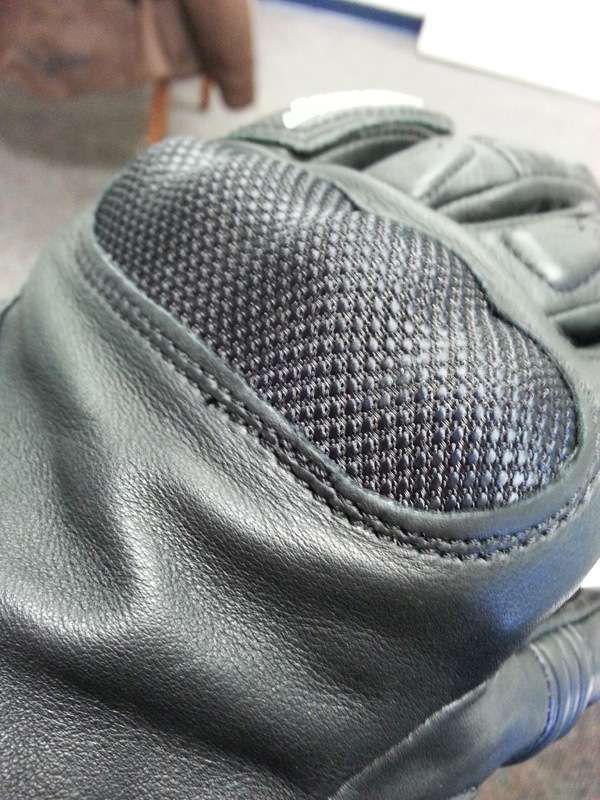 In addition to providing crash protection, the two extra pads in the palm provide some cushion on the the grips. 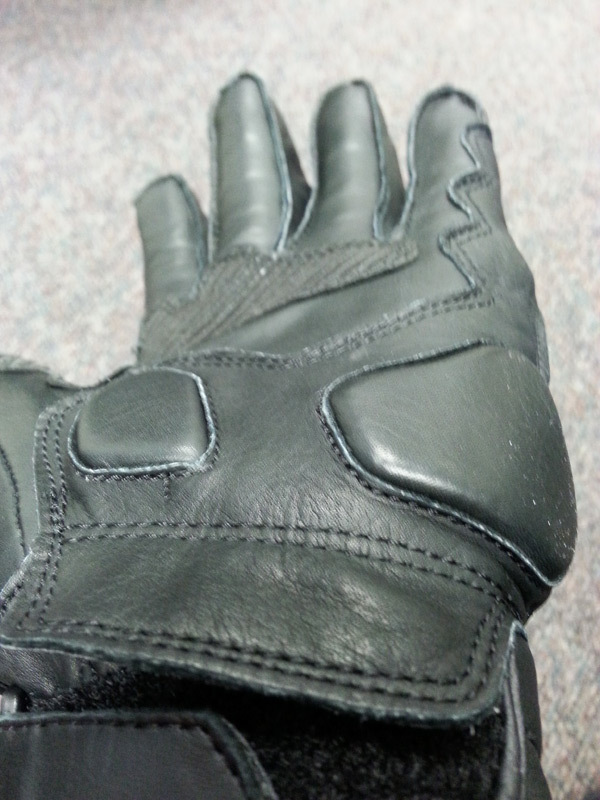 The leather was pretty supple right out of the bag, and after a few days of days riding, feels very comfortable. Inside, the gloves have a thin fleece-style liner which keeps me from feeling any of the seams and offers a little insulation. 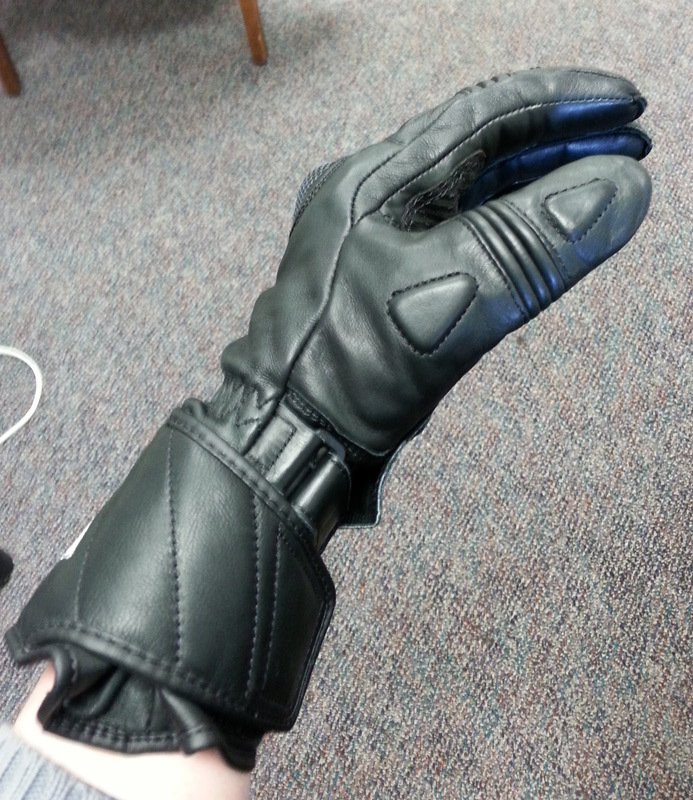 There are no vents or perforations on this glove, so it is moderately warm. At higher speeds, I do feel the coldness of the wind against my fingers, but it’s warmer than I expected for a thinner-style glove. 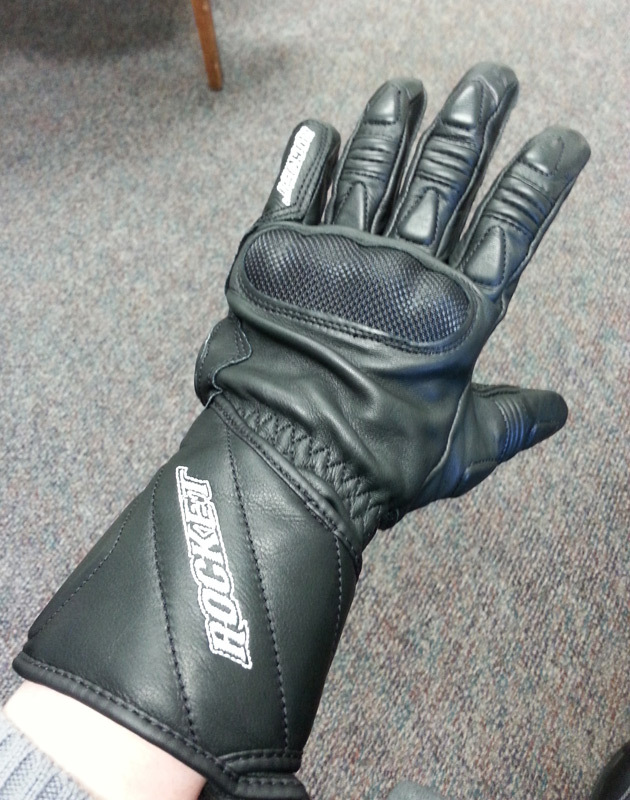 My other pair of Joe Rocket gloves, the Cyntek, are a size medium, so I ordered a medium in the Pro Street, and they fit as expected. There is some extra length in fingers which is great for when you wrap your hands around the grips (no pressure on fingertips). The fingertips have external seams which minimizes irritation; while the rest of the glove has internal seams for a cleaner appearance. No visor squeegee! I’m on the fence about this being a con or a pro. I really dislike the squeegie on my Rev’It Summit H2O gloves, as it’s not flexible enough and digs into my finger (even after more than a year of use). 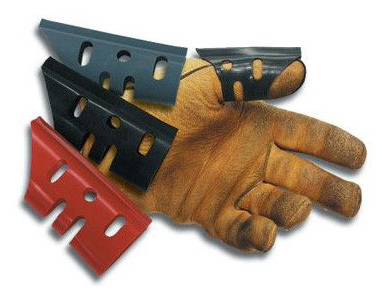 You can buy squeegees that slip over your finger, so I may get one of those some day. I’m very happy with these gloves! 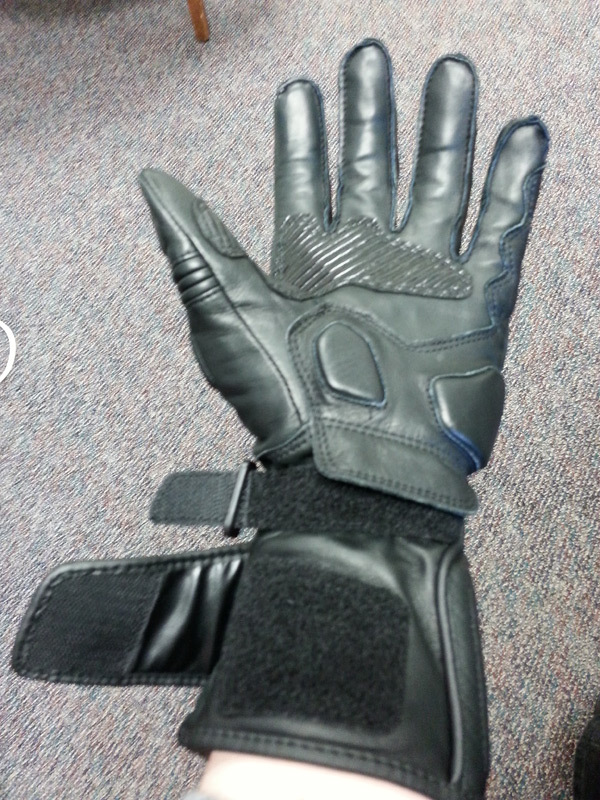 They are more comfortable than my Rev’It Summit H2O gloves (which cost about $50 more), and warmer to boot. I really like the padding in the palm, as significantly reduces soreness of my hands on longer rides. After 2-3 hours of riding, my hands are tired but not sore. 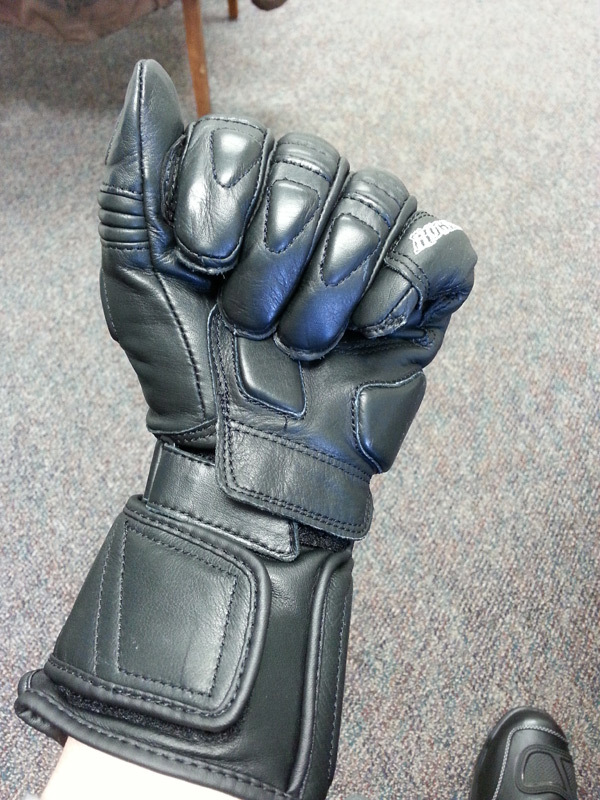 I’m still considering heated alternatives, but for now the Pro Street gloves work quite well as a cool weather glove. They have quickly become my favorite pair of gloves. One note: I had an issue with the first pair I ordered. 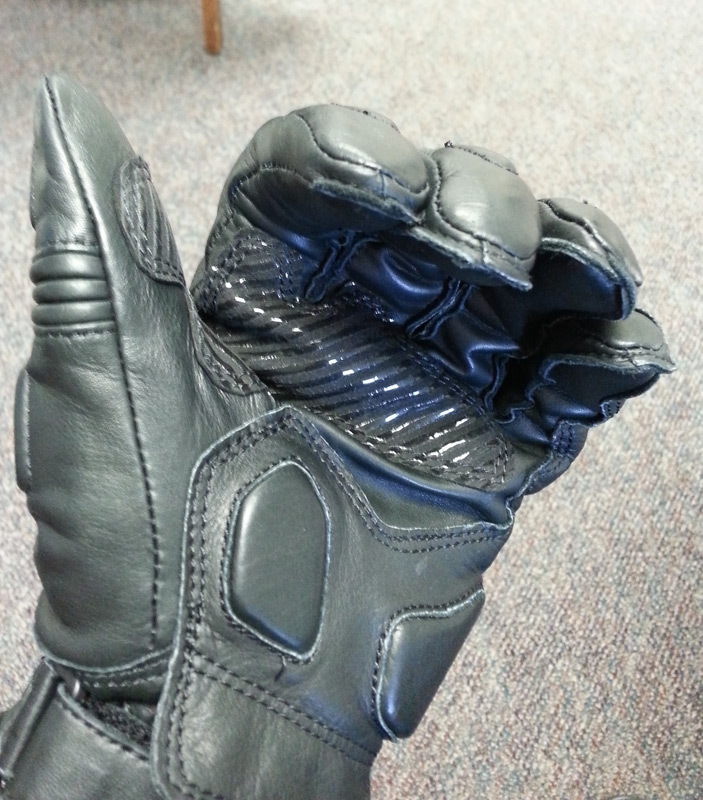 The inner lining on the left glove detached when I pulled it off my hand. I exchanged them for a new pair and haven’t had any issue with these. I have been more gentle when taking them off; however, just in case.